As businesses work toward maximizing productivity, they need to take advantage of the unique features and functionalities of their ERP systems. While out of the box ERP packages, such as Epicor, offer a great and practical solution, they are created for the enterprises, and not for individual customers. “The challenge that enterprises face is often a knowledge gap regarding what is required in terms of the business, versus the capabilities of the software,” says Jim Rogers, President, Wild ERP. 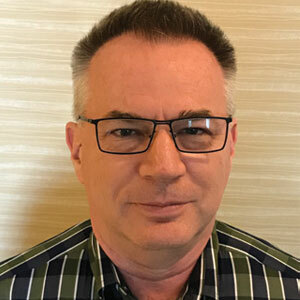 With his background in engineering and business operations, in-depth understanding of requirements from a technical, functional, as well as business perspective, Rogers leads Wild ERP to bridge that gap effectively. Wild ERP creates customized solutions for organizations seeking to optimize their systems and reporting. Whether a client needs to integrate a current system or is starting from scratch, Wild ERP works with companies to understand their workflows and processes so that they can devise a solution that incorporates automation and improves functionality. Although the data exists in the ERP system, the biggest challenge companies face is accessing the data in a central place to make it useful all the way from the shop floor to the senior management. Epicor is one of the major players in the industry that Wild ERP is frequently called upon to customize. While this business-driven software is designed to maximize productivity, many opportunities exist for customization to improve effectiveness and efficiency in workflows. Forms within Epicor can be customized to meet specific needs. Fields can be modified, and additional functionality may be implemented to extract data. Through Business Process Management (BPM), businesses can customize their business processes to take action when data changes or specific business objects are used. Finally, with Advanced Print Management, users can automatically fax, email, and print documents based on their content. “All of these features allow Epicor to be automated based on rules, saving time and money,” affirms Rogers. One of Wild ERP’s success stories perfectly illustrates their unique value proposition. They were working with a client that had to routinely select and print 12 different documents to send to the shop floor. “We created a customized solution with a screen where the job number was entered once, and all related documents could be printed with a click of a single button,” says Rogers. The program was also able to pull in related reports outside of the Epicor environment. Time studies showed that prior to the Wild ERP customization, personnel were spending an average of 30-45 minutes generating and printing these reports. With the one-click print solution, that time was reduced to less than a minute. In yet another instance, Wild ERP helped a customer who had to routinely enter several hundreds of sales order lines which was very time consuming. “We set up a spreadsheet with all the order details and send it to Service Connect—which helps users to automate a process—to create the sales orders in a short time-frame without the user being involved in mundane data entry,” he says.